I’m still amazed that my local library has this – what an obscure little book for them to carry. Even more amazing, no-one else has borrowed it since last April! Why wouldn’t you want to read a scientific analysis of unicorns!? 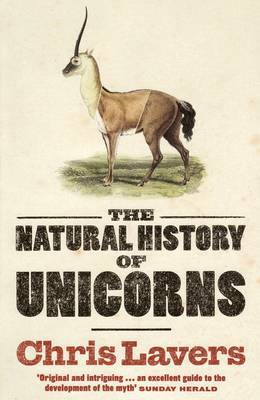 It’s exactly what it says on the tin – a close study of the natural history of unicorns. That’s natural history, people. A huge part of the book is given over to the real-life animals that might have been mistaken for unicorns over the years (rhinos, okapi, chiru, etc. 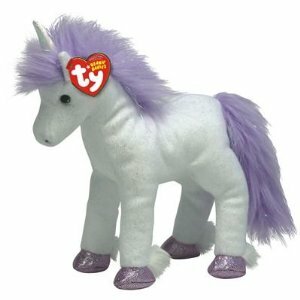 ), the explorers that first saw them and how these would differ biologically from an actual unicorn. It does get rather repetitive after a while, as I noticed after roughly the third time Mr. Lavers mentioned the oddly-shaped feet of a rhinoceros. I do think it would have interested me more if it had a section on unicorns in popular culture, for example, or possibly discussed the ancient stories a little more. But hey, that’s not the point of the book. There are massive sections on how unicorns came to be in the Bible, complete with quotes and lengthy spiritual conclusions, which is interesting but again very repetitive. My favourite chapter dealt with the Pagan lore on the method of catching a unicorn (complete with young virgins and a lot of men with pointy sticks) was slowly integrated with the Christian religious tales to result in the version featured in our fairy tale books today. Taking the book for what it is, however, it’s a very interesting and accessible read. Mr. Laver’s dry humour neatly breaks up the long quotes and religious anecdotes by providing wry observations about the multitude of explorers that have searched in vain for the unicorn. It’s rare that a non-fiction book can make me laugh out loud, but this one definitely did (you get some strange looks giggling over a unicorn book in the staff room of a male-dominated GAME shop, I tell you…). The author’s clear attention for detail is astonishing. He frequently discusses the opinions of other historians and scientists and then examines their credibility and other work. The quotes he chooses are usually very apt and nicely back up his points without being overly scholarly. The lengthy bibliography alone pays tribute to the tremendous amount of effort gone into this book! A review I saw in a newspaper stated that the book was spoilt by the author’s personal criticisms of Western Civilisation and religion, but I don’t see it and to be honest, I was looking for it. On the contrary, I thought that the topics of Christianity, Islam and capitalism were dealt with objectively and maturely and to this day, I have no knowledge of Mr Laver’s opinions on anything other than unicorns. On the whole, I really enjoyed this ‘micro-history,’ although I’d have preferred a little less science and a little more lore. I loved the author’s wit and his vast knowledge of unicorns, and I’ve learnt a huge amount from such a little book.